UNITED NATIONS (IPS) - Saudi Arabia’s unyielding opposition to November 24 interim nuclear agreement with Iran has triggered speculation about its own projection of military power in the Middle East. But this is viewed as a worst case scenario, particularly if the longstanding political and military relationship between the United States and Saudi Arabia continues to deteriorate. 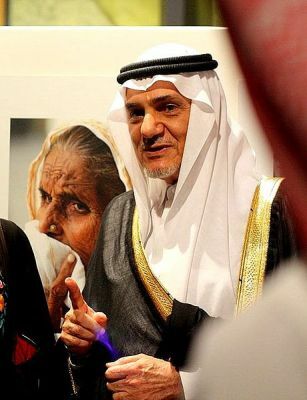 The initial hint of Saudi nuclear ambitions surfaced back in 2011 when Prince Turki al-Faisal, a former Saudi ambassador to the United States, warned that nuclear threats from Israel and Iran may force Saudi Arabia to follow suit. Whether this was a serious or an empty threat will depend in part on the evolving negotiations with Iran to terminate its nuclear weapons capability when the current six-month interim agreement expires. That agreement was between Iran and the five permanent members of the U.N. Security Council, namely the United States, Britain, France, Russia and China, plus Germany (P5+1). Hillel Schenker, co-editor of the Jerusalem-based Palestine-Israel Journal, who has been tracking nuclear developments in the Middle East, told IPS Saudi criticism is also based on the assumption that the Geneva agreement is a bad deal. Yet if it proves to be a building block towards an arrangement for preventing Iran from going nuclear militarily, Riyadh won’t feel the need to obtain its own nuclear counterweight, he added. That long-term agreement is expected to be finalised at the end of the current six-month interim agreement. At the moment, said Kile, it is unclear to what extent Iran is willing to limit or reduce its sensitive nuclear fuel cycle activities in exchange for a lifting of Western sanctions, or whether the U.S. and its European Union (EU) partners will agree to lift sanctions without a near-total dismantlement of Iran’s nuclear infrastructure. Assuming that a deal can be reached that will involve significant technical limitations on Iran’s nuclear programme, accompanied by enhanced verification by the International Atomic Energy Agency – in particular, Iran’s accession to the Additional Protocol – to provide assurance about the absence of undeclared nuclear activities in Iran, this should help allay U.S., Israeli, and Arab worries by making it more difficult for Iran to build a nuclear weapon, Kile said. In doing so, it would actually serve to ease nuclear proliferation incentives and pressures in the Middle East, he said. Besides Saudi Arabia, there has also been speculation about the nuclear ambitions of another Middle Eastern nation, Egypt, currently in political turmoil. Schenker told IPS that while the Egyptians may also be unhappy with a possible Iranian-Western rapprochement, and consider themselves in competition with Iran for hegemony in the region, they are currently immersed in their own internal issues. “If the final agreement is a reasonable one from their point of view, there is no chance that they themselves will decide to go nuclear militarily,” he predicted. However, both deposed Egyptian President Mohamed Morsi and the successor military regime announced interest in reviving the dormant Egyptian programme to build a nuclear energy power plant, perhaps as a counterpoint to the Iranian nuclear energy programme. In addition, a solid final deal with the Iranians will only increase Egyptian determination to promote a nuclear weapons-free zone in the Middle East, and a desire to place the Israeli nuclear programme on the table as well, he noted. “It seems to me that the pessimism about last weekend’s deal between Iran and the P5+1 states coming from Israel, Saudi Arabia and in some quarters of the U.S. Congress is understandable given that the Iranians have been less-than-fully forthcoming, and in some cases actively deceitful, about their nuclear activities in the past,” Kile told IPS. However, the deal is an important first step toward addressing international concerns about the scope of Iran’s nuclear programme and, as such, should be welcomed by even those who are sceptical of Tehran’s nuclear intentions, he added. The agreement reached in Geneva imposes technical constraints and verification requirements that make it virtually impossible for Iran to use its nuclear facilities to make progress toward building a nuclear weapon during this period. He said it also lengthens the amount of time that Iran would need if it were to later decide to build a weapon.